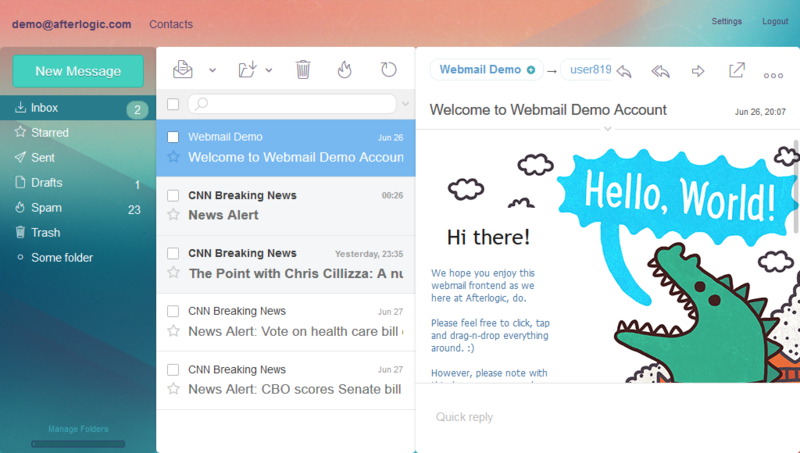 Afterlogic WebMail Lite 8 is an open-source webmail script for your existing IMAP server, Plesk or cPanel. This API allows to develop modules which extend Afterlogic WebMail Lite 8 functionality. Afterlogic WebMail Lite 8 product is a part of Aurora products family. It is based on Aurora Platform architecture. In its turn, this platform includes Aurora Framework, Aurora modules and product definition. In this reference you will find information about PHP API classes and methods of Afterlogic WebMail Lite 8 product.